World Mission Society Church of God: Restoration Project San Diego River with News Clips. Anchor (Derek Staahl): More than 400 volunteers from the Church of God in San Diego are partnering with city officials to help clean up the San Diego River in Mission Valley. Appropriately enough, they say they’re doing it to show love for their community, it’s part of the Worldwide Good Samaritan Movement. This morning volunteers spent about 3 hours removing and sheering an invasive plant called arundo that surrounds the river. That plant drains the river of its nutrients and heightens the risk of flooding and fires. The aggressive plant constantly grows back, so the cleanup process is ongoing. Volunteers say they hope their efforts today will keep the river clean for a while. Anchor (Artie Ojeda): Well this morning hundreds of San Diegans got up early to give one area some much needed TLC. Members of the World Mission Society Church of God hosted an environmental cleanup in Mission Valley. The church partnered with the city of San Diego for today’s event. More than 400 volunteers came out today to help clean up the San Diego riverbed. D. Stephanie: There is actually many giant reeds that have taken over the area, and they take the nutrients and the water away from what naturally lives here. So we’re hoping through our efforts we can actually help restore the natural habitat. Anchor (Artie Ojeda): Today’s event was a part of the group’s Worldwide Good Samaritan Movement. Anchor (Kristen Cusato): The area around the San Diego River looks a little better thanks to some caring volunteers. World Mission Society Church of God partnered with the City of San Diego to help restore the natural habitat along the San Diego River in Mission Valley. Hundreds of church members took on the task of cutting down large reeds that are a threat to the riverbed. D. Stephanie: They’re chopping down the bamboo or the arundo in this area. I believe when you go down you’ll see for yourself, but the whole area is surrounded. So it’s very hard work, they’re working really hard down there cutting it down, they have to chop it and put it in the giant dumpsters. But it’s a constant process, it grows throughout the year. As I mentioned it steals all of the nutrients from the existing plant life so it’s really important to clear that out. Anchor: the reeds do grow throughout the year so this is a process that needs to be done over and over again. Share the post "World Mission Society Church of God: Restoration Project San Diego River"
WMSCOG is following the teaching of God the Mother. We can know WMSCOG is practicing the love of God the Mother through many vounteer services of them. 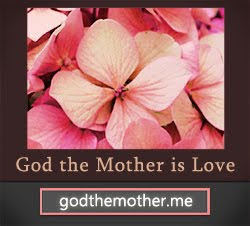 WMSCOG tries to spread the neighborly love according to the teachings of God the Mother! It is so moved 🙂 The volunteer service makes people happier and healthier. Thank World Mission Society Church of God for your efforts….Go, Go, Go!! How many members are gathered to help clean up ? More than 400 volunteers !!! How great it is!! Who can do that kinds of work. WMSCOG!!! Eventhough we have different culture and thought, We can share the love of God by doing the teachings of God the Mother through volunteer services. Hope many people join with WMSCOG to meet Elohim God.